Once every couple of weeks, I use a stand-mixer for making the dough for our sandwich and toast bread. The hook and bowl have to be washed by hand. 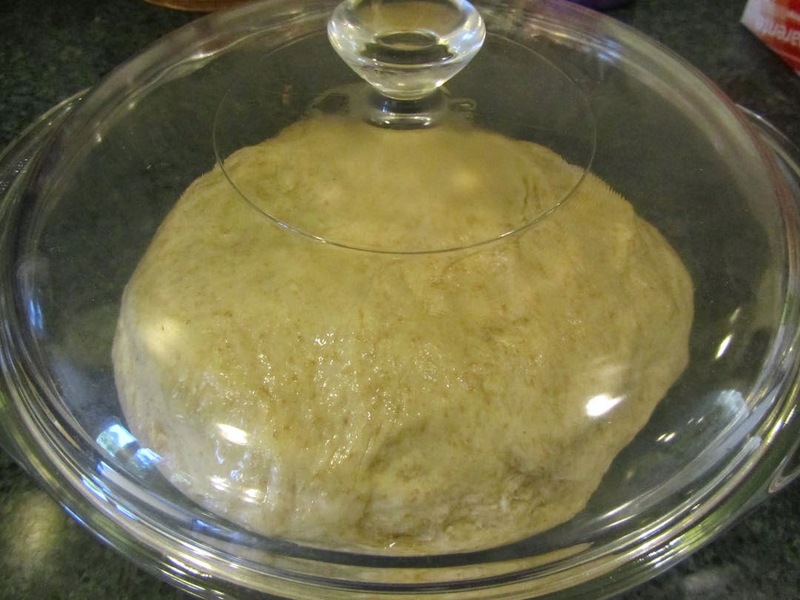 So, while it's out and in use, I like to get it good and dirty with lots of dough. Last Friday, I used the mixer to make whole wheat dough for 4 loaves of sandwich bread. 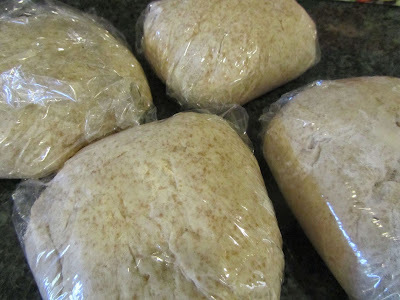 Then when that bread dough was out of the mixer, I started a batch of multi-purpose French bread dough, which can also be used for pizza crust and focaccia, in addition to laves of French bread. I make enough of this dough at one time for 4 loaves/uses of dough. I ball these up and place on a sheet of oiled plastic wrap, and freeze in a large zippered plastic bag. I hear ya on getting an appliance really dirty so you only have to wash it once! I feel that way about my food processor and my blender. Any way that I can put off the washing up after baking sounds good to me! Even if it means more baking. That bread makes my mouth water! 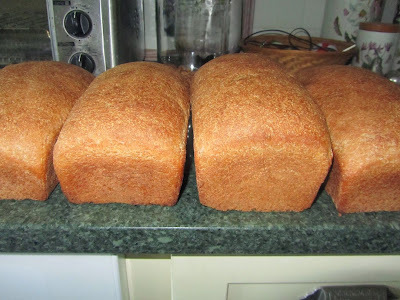 I used to bake all of our bread. I even had an electric grinder to grind the wheat berries. Talk about fresh whole wheat bread! But those days are past since one of my dd's and myself are avoiding gluten. But, oh my! I can almost smell that bread! Oh I can so empathize. Every so often I have to avoid wheat and rye, and it about kills me to not have some bread when the rest of the family is enjoying it. Good luck to you and your daughter. I hope you find the results you're after! I'm with Linda. I can almost smell the heavenly smell of bread baking. bread does leave the house smelling wonderfully, doesn't it?